Fred Thompson (1942-2015) was a TV actor who served as a Republican senator from Tennessee and ran briefly for the 2008 Republican Party presidential nomination. He held a fellowship at the neoconservative American Enterprise Institute (AEI), where he focused on national security and intelligence issues related to North Korea, China, and Russia. Best known for his role on the hit television series Law & Order, Thompson was also known for his use of aggressive and bombastic rhetoric to characterize undocumented immigrants and America’s “enemies,” as well as for his long history of supporting hawkish security policies and controversial weapons programs. In his final years, Thompson was an avowed critic of President Obama, claiming that he had “no concept” of the “founding principles of our government.” Thompson died in November 2015, at the age of 73. During the 2012 Republican presidential campaign, Thompson publicly endorsed the candidacy of Newt Gingrich, saying on Fox News Hannity, “I have come to the growing realization that Newt Gingrich is the guy who can articulate what America is all about,” adding that Gingrich could “make the case and not just read the talking points” on issues like free markets, the greatness of America, and lower taxes. During the 2008 campaign, Thompson frequently clashed with Gingrich’s main rival in 2012, Mitt Romney, including by trying to focus negative attention on Romney’s extreme wealth, foreshadowing a strategy that would be employed in 2012 by Gingrich supporters in the Sheldon Adelson-funded super-PAC, Winning Our Future. Thompson was a supporter of and served as the promotional face for the limited-government organization Citizens United, appearing in promotional ads and films for the group on various occasions. In 2010, the group won a notorious court case in the U.S. Supreme Court that allowed for unregulated corporate spending in election campaigns. Thompson narrated the 2011 Citizens United-produced documentary “Perfect Valor,” which details the 2004 battle for Fallujah, Iraq. Bill Hoffmann, “Fred Thompson: Obama ‘Has No Concept’ of ‘Founding Principles,’” Newsmax, July 14, 2014, http://www.newsmax.com/Newsfront/fred-thompson-founding-principles-movie/2014/07/14/id/582619/. Liam Stack, “Fred Thompson, Former Senator, Actor and Presidential Candidate, Dies at 73,” The New York Times, November 1, 2015,http://www.nytimes.com/2015/11/02/us/politics/fred-thompson-former-senator-actor-and-presidential-candidate-dies-at-73.html. Quoted in Evan McMorris-Santoro, “Fred Thompson Endorses Newt Gingirch,” TPM, January 23, 2012,https://web.archive.org/web/20120201192830/http://2012.talkingpointsmemo.com/2012/01/fred-thompson-endorses-newt-gingrich.php?ref=fpb. Fox News, “Fred Thompson Tells Mitt Romney: ‘You Can’t Buy South Carolina'” Fox News, November 7, 2007,http://www.foxnews.com/story/0,2933,308883,00.html. [5Nicholas Confessore, ‘Super PAC’ for Gingrich to Get $5 Million Infusion, New York Times, January 23, 2012,http://www.nytimes.com/2012/01/24/us/politics/super-pac-for-gingrich-to-get-5-million-infusion.html. Michael Goldfarb, “(Update) Fred Thompson for UN Ambassador,” Weekly Standard Blog, November 15, 2006. 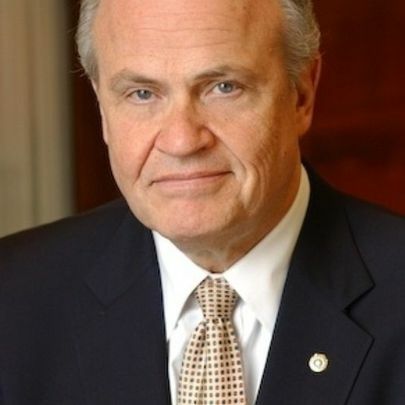 Victorino Matus, “Fred Thompson: A Presidential Primer,” The Weekly Standard, March 22, 2007,http://www.weeklystandard.com/Content/Public/Articles/000/000/013/439ulggu.asp. Adam Nagourney and Jo Becker, “For Thompson, Goal Is to Don Reagan Mantle,” The New York Times, September 7, 2007,http://www.nytimes.com/2007/09/07/us/politics/07elect.html. Susan Saulny, “He Can Act, but Can He Debate? Untested Thompson Faces Rivals for First Time,” The New York Times, October 8, 2007,http://www.nytimes.com/2007/10/08/us/politics/08thompson.html. 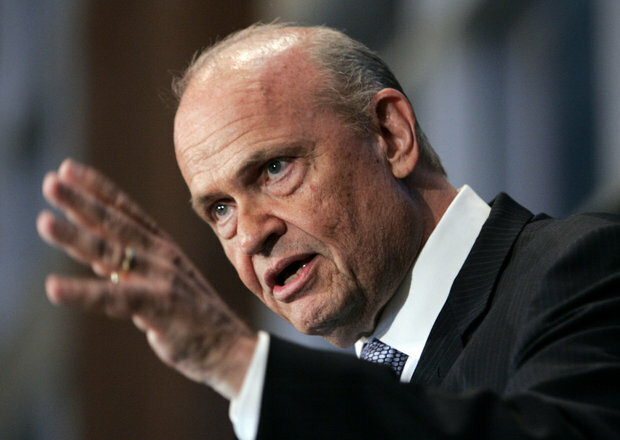 Fred Thompson, “Address by Senator Fred Thompson: The War in Iraq, Terrorism, and the 2004 Presidential Election,” American Enterprise Institute, April 16, 2004. Fred Thompson, “Plutonic Warming,” March 22, 2007, http://www.nationalreview.com/article/220392/plutonic-warming.